The objective of the so-called Doha Meeting in Qatar, on April 17, between the world’s top oil producers is fairly straightforward: to agree on a collective OPEC and non-OPEC oil output freeze to January 2016 levels, in an effort to halt the nearly two-year oil price collapse. Yet, the actual scope of the agreement is way less ambiguous and far more OPEC-specific. Amid the most dramatic quarter since the price fall (1Q2016) – i.e. prices hovering below $30/bbl to a 13-year low, a persistent supply-driven bear market, global economic growth forecasts being downgraded and a deep contango encouraging stocks to rise above 5-year average – Saudi Arabia, Venezuela, Russia and Qatar have revived a very well crafted “As-Is Agreement”. The terms of the agreement are relatively painless for the participating oil producers, which are already producing near their capacity limit and near their average forecast levels for 2016 –see Table 1. For all oil producers, excluding Saudi Arabia and Iran, announcing that they will not increase production in the near-term, confirms merely what was already known given the global squeeze on capital resources towards upstream developments. Notwithstanding, for Saudi Arabia the scope of the agreement is very specific. Without departing from their initial cautious strategic stance of defending their exports’ market share and not taking the burden of an output reduction alone – at the expense of an aggressive pricing strategy by cutting production – to artificially create a more economically sensible $40/bbl price floor and lay the foundations for a move to $50/bbl in the second half of 2016. The key objective is to test the US shale supply response to the upside and gather valuable information regarding the pain threshold of shale oil in order to learn how to coexist with the US shale “aggressors” at higher prices. 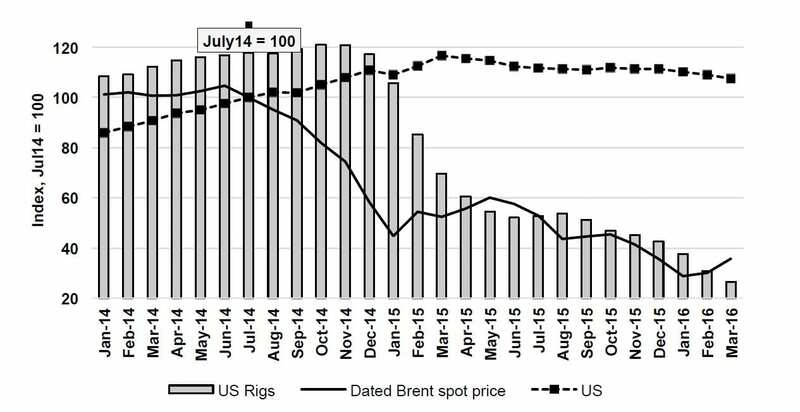 So far, on the downside, shale oil has proven to be resilient with production starting to show persistent signs of struggle only in 2016 –see Figure 1. On the upside, the rapidity of US shale response remains highly uncertain. The significance is that once this uncertainty is resolved, the Saudi-led OPEC will be in a better position to evaluate the underlying market parameters more effectively and adapt its strategy accordingly. * Includes production of crude oil including lease condensates. ** Projections in 2016-17 for OPEC countries show total sustainable crude oil production capacity. 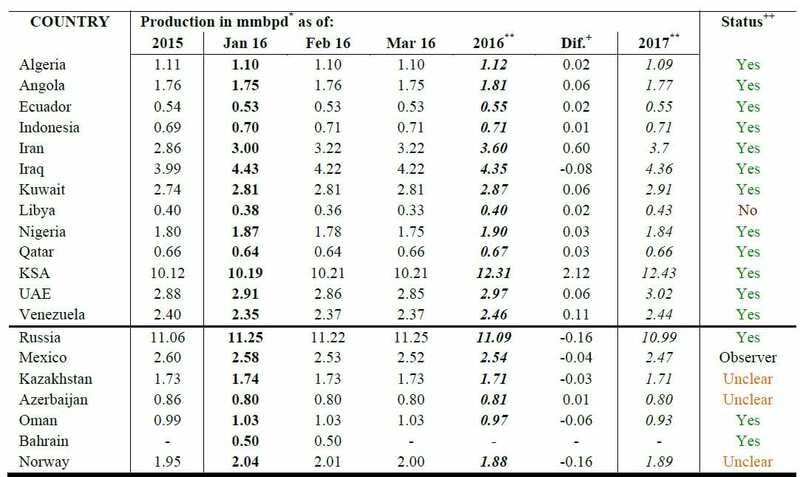 + Difference between annual projections for 2016 and actual estimates of production in January 2016. ++ Status of attendance at the producers’ meeting in Doha, as reported by Reuters on April 10. Data: International Energy Agency, Reuters. Figure 1. US shale oil production and drilling activity price response, Jan14-Mar16. Another important point to consider is that an agreement in Doha will essentially reaffirm OPEC’s status as a dominant and coherent organisation. 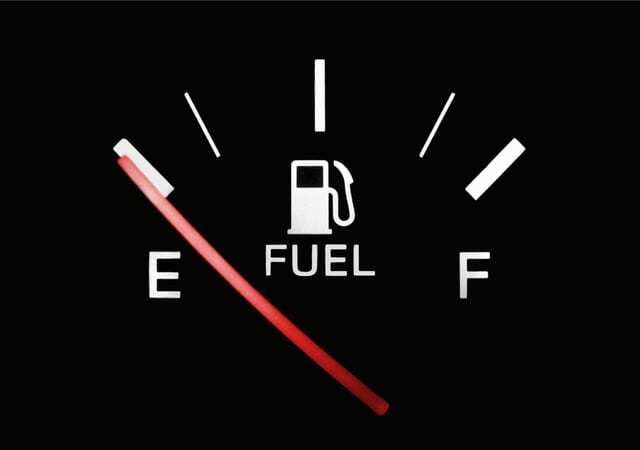 In the words of Daniel Yergin early this week at the Financial Times, “OPEC has become irretrievably divided and is unable to reverse the current slump in oil prices”. In fact, at a member-state level, the payoffs from the current Saudi-led aggressive output-strategy have been close to zero, as most OPEC producers operating near their capacity limits were unable to offset diminishing returns from a lower price by boosting their export levels. This has triggered a growing alarm over impact on OPEC members’ economies and highlighted a split within the organization on how to respond to the price collapse. The Doha Meeting, however, offers a more economically balanced strategy across OPEC, as all members now share the burden. Yet, an obvious concern remains the conflicting Saudi and Iranian stances, even though past experiences suggest that at crucial times when both faced the prospect of a sustained and significant decline in oil prices, their discords were put aside, i.e. 1986 and 1998 price collapse –see Figure 2. Moreover, analysts suggest that some form of agreement between the two must have already been agreed in principle, before the world’s largest producers meet in Doha. Figure 2. 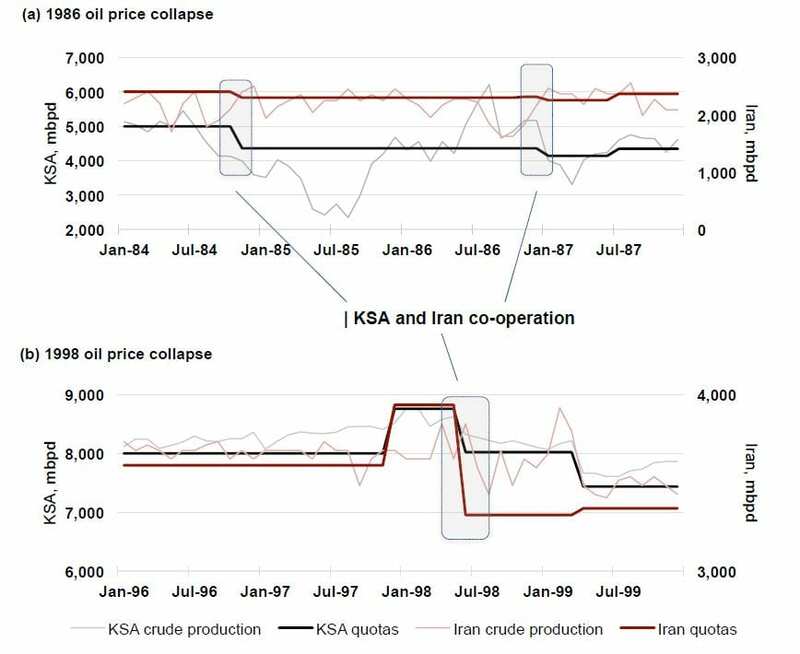 Oil production and production allocations from KSA and Iran, 1984-87 and 1996-99. In conclusion, the Doha Meeting on April 17 is expected to deliver a unified agreement to freeze oil output at January levels, as the terms of the agreement are relatively painless for the participating oil producers. A successful outcome for OPEC envisages that all of its participating members should agree to the deal, excluding Iran, so that it reaffirms its status as a dominant and coherent organisation. In terms of non-OPEC, Russia, Bahrain and Oman are the most likely to join OPEC, even though others are not excluded; but having little importance if they do. Iran will endorse the deal without any involvement at this point, conditional that it will join the agreement as soon as Iranian production recovers to its pre-sanction levels, i.e. 3.2 mmbpd. Saudi Arabia might even support these terms publicly. Finally, all else remaining equal, Iran’s participation could then be part of a phase-two of the “As-Is Agreement”, in an attempt to push the price floor a step higher at $50/bbl and lay the foundations towards $60/bbl by the end of 2016 or early 2017. That said, the market dynamics will remain largely unaffected and there is still a long-way ahead towards the recovery of oil prices. 1 UCL Energy Institute, University College London, Central House, 14 Upper Woburn Place, WC1H 0NN, London, UK. 2 Oxford Institute for Energy Studies, University of Oxford, 57 Woodstock Road, OX2 6FA, Oxford, UK. *Correction for the Iranian pre-sanction levels in the last paragraph: the correct level being 3.6 mmbpd.